Union Home Minister Rajnath Singh has assured all possible help to Tripura battered by incessant rain and rampant landslide over the past few days. 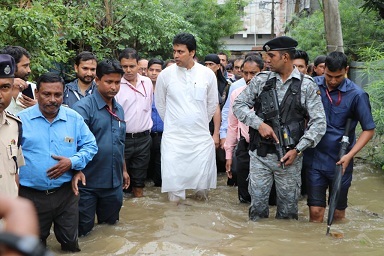 The assurance came after State Chief Minister Biplab Kumar Deb had a talk with the Union Home Minister post his visit to the landslide affected areas of Gobindapara and Belfung under Hejamara, the worst village in the Mohanpur sub-division of the West Tripura. During a telephonic conversation, Chief Minister Biplab Kumar Deb briefed the Union Minister about the casualty and prevailing situation. According to the Chief Minister, Rajnath Singh while expressing grief at the loss of human lives assured all possible help from the Centre to tackle the situation and provide relief to the affected people. 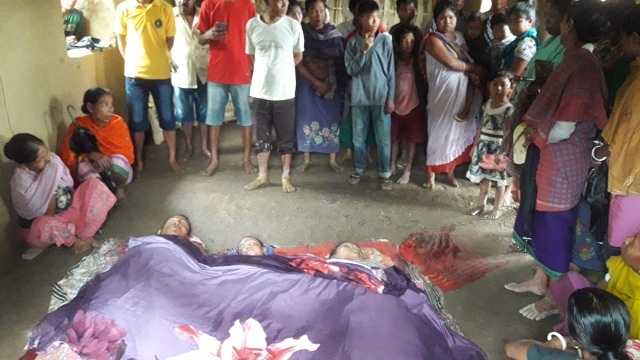 The Chief Minister also directed the concerned authorities to undertake survey of all landslide prone areas of the State to prevent recurrence of such incident incidents, an official release has stated. Meanwhile, the State Government has already announced Rs four lakh as compensation to the next of kin who had died and Rs one lakh as relief for reconstruction of their damaged houses. According to official estimates, a total amount of Rs 22 lakh would be spent for compensation the affected areas. Notably, as many as 11 villagers have died in the cyclonic storm and landslides during the past two weeks. The wrath of nature has also left behind a trail of destruction by causing extensive damage to properties as well as crops.